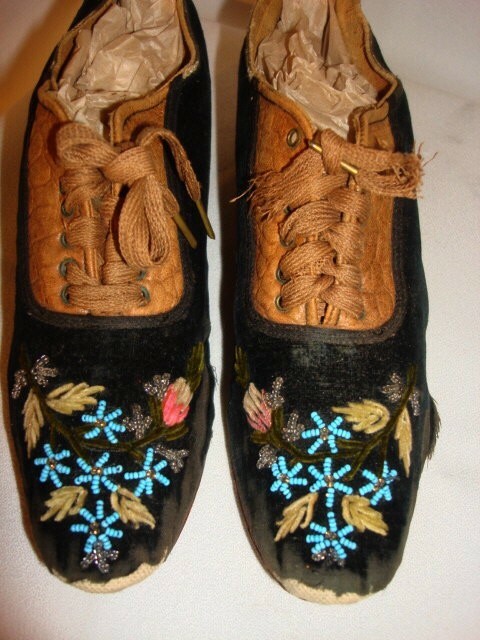 They lace up with brass eyelets. 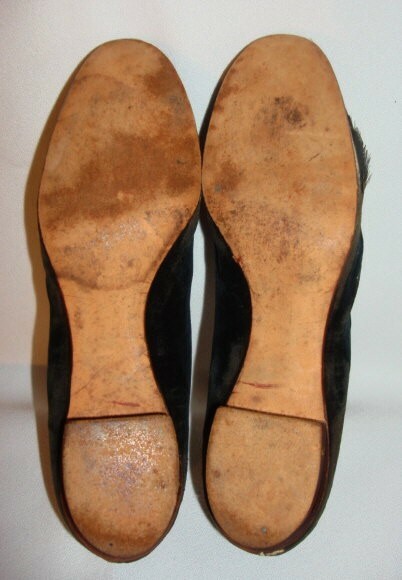 Photos show the condition quite well. 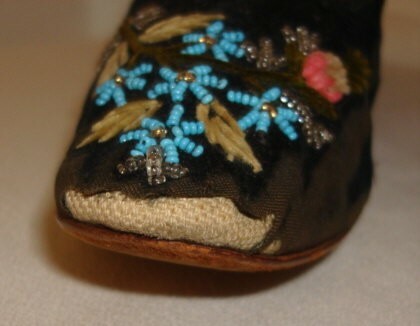 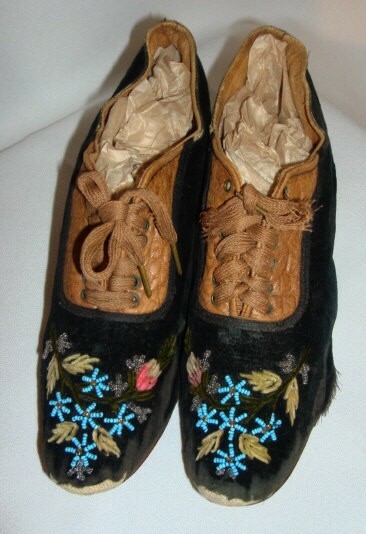 Velvet is worn around the toe edge and along the sides. 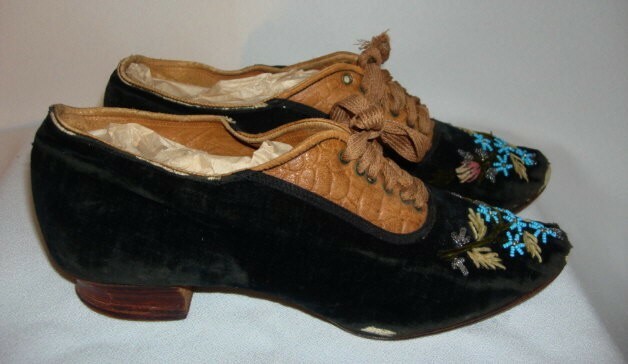 The shoe itself is quite strong and could actually be worn.